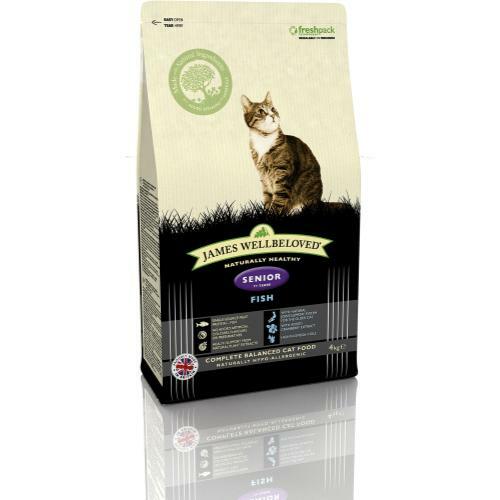 A tasty recipe of succulent fish and rice specially formulated for older or less active cats. Ideal for those who may be prone to weight gain. Cats can suffer from food allergies, giving rise to poor skin and coat condition as well as stomach problems. The most common allergies are milk, beef and wheat. So, unlike most other brands, James Wellbeloved does not contain any of these problem ingredients - making this a tasty hypo-allergenic recipe made with all-natural ingredients.